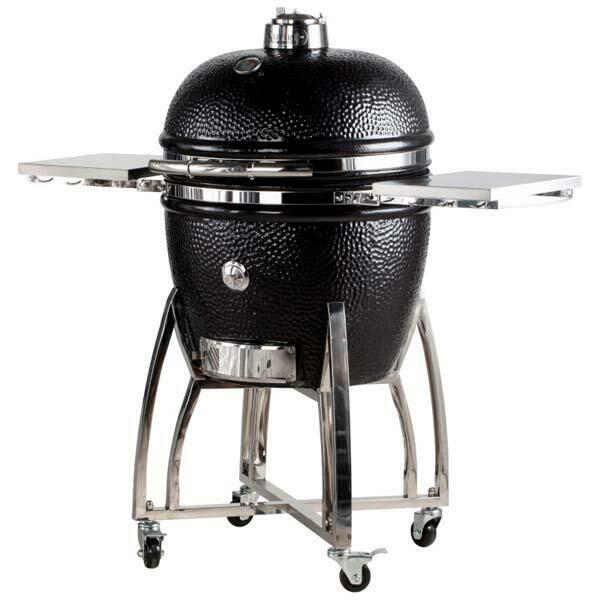 Saffire XL 23" Platinum Grill w/ Cart by Saffire Grill Co.
Grilling, smoking, baking; it doesn't get any better than the Saffire XL 23" Platinum Grill! 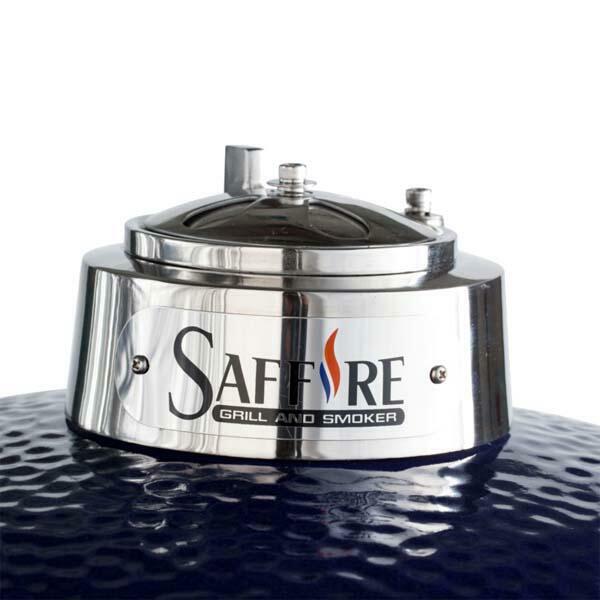 The Saffire XL 23" Platinum Grill comes with all 304 stainless steel hardware, a 304 stainless steel handle, and a 304 stainless steel cart. 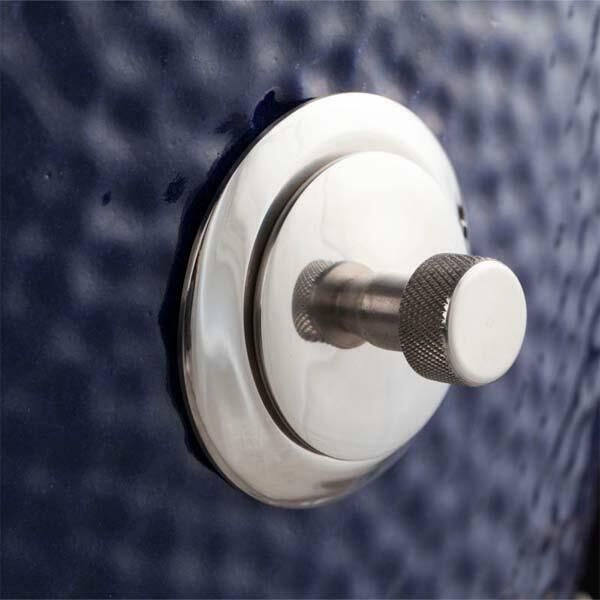 304 Stainless Steel offers increased durability, withstands the heat better, is easier to clean and will maintain its lovely shiny appearance longer. 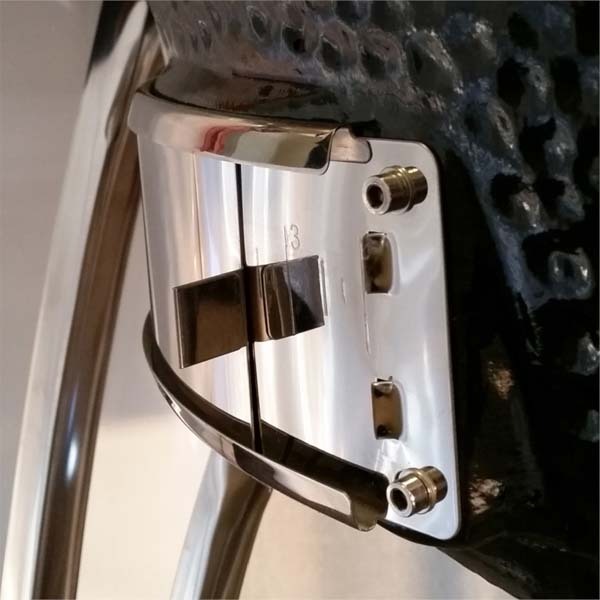 The XL 23" Platinum features an enlarged dome as well as a patent pending Crucible Firebox. 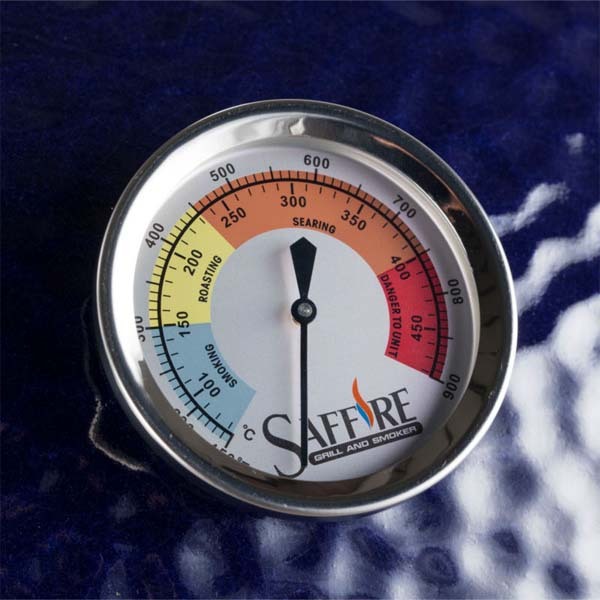 Saffire's Crucible Firebox virtually eliminates structural failure, while providing greater charcoal capacity, doubling the grate size, and offering quick ash removal. 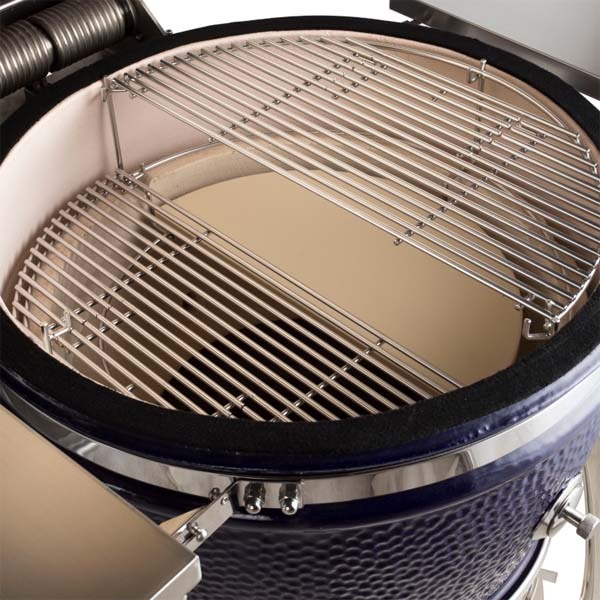 The Saffire XL 23" Platinum Grill proffers a list of incredible accessories, including a multi-level cooking rack, ceramic heat deflector, ash cleaning tool and Saffire's Smokin' Chip Feeder. 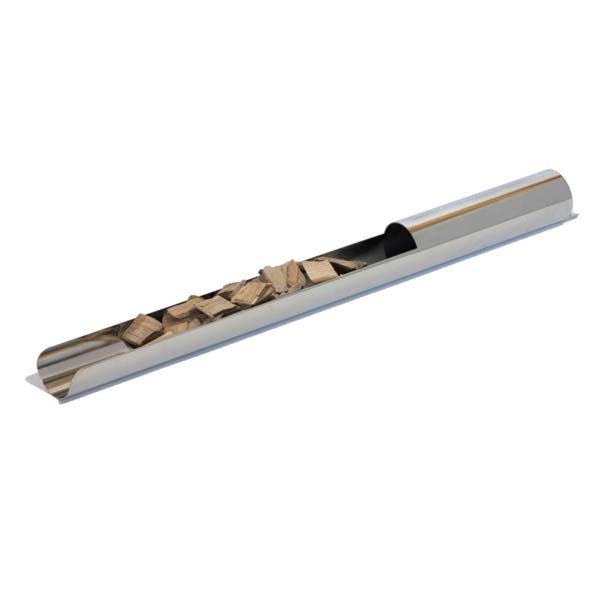 This handy innovation allows you to adjust the amount of wood chips during the smoke without any inconvenience. 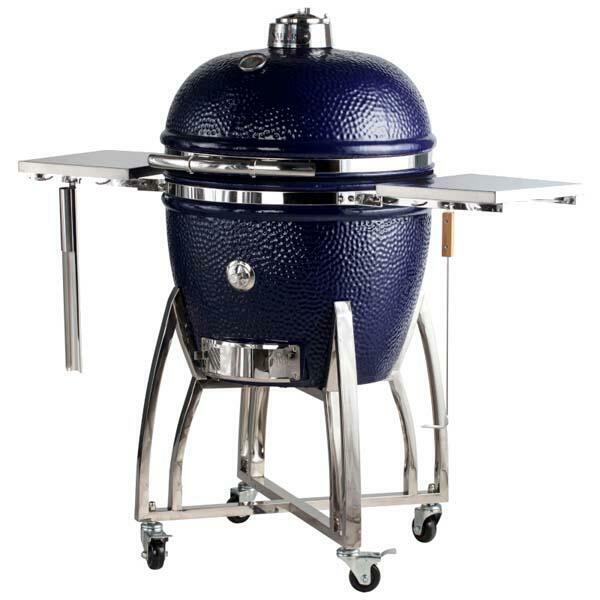 The XL 23" Platinum Grill is available in a dazzling cobalt blue or classic black, and comes with a lifetime warranty on the 304 hardware and ceramics! !